White Noise, White Light…White Smell? In a previous post, I noted how ‘white noise’ is often (incorrectly) used interchangeably with ‘sound masking.’ The term ‘white noise’ was actually developed to describe the sound created when a wide range of frequencies are mixed together equally. In other words, it’s similar to ‘white light,’ which contains a more or less equal balance of the visible frequencies of light. Basically, they identified 86 different molecules across the range of ‘olfactory stimulus space’ and began mixing these together. They found that if they combined 30 or more elements in equal measure, the study participants began to indicate that each sample smelled alike, even when two mixtures shared none of the same elements. 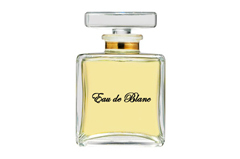 Though ‘Eau de Blanc’ has a certain ring to it, the researchers coined the term ‘Laurax’ to describe this new smell. And what does it smell like? Well, apparently it’s difficult to say. Participants in the study used over 140 different descriptors! And you’re unlikely to be able to experience it yourself, because this smell is highly unlikely to occur in nature or anywhere else outside of a similar study. To this point, you’ve probably been thinking that some researchers have far too much time on their hands, but this study may help further their understanding of our sense of smell. Again, to produce ‘olfactory white,’ numerous scents must be combined at equal strength. And the same is true for ‘white noise.’ It contains a mixture of audible frequencies at more or less constant volumes. While sound masking contains much the same frequencies, it combines these at varying volumes and, therefore, has none of the harsh aspects associated with white noise. Sound masking sounds entirely different, just as two smells containing the same elements – but at different levels – will smell entirely different.